GLOW IN THE DARK pendants with holographic glitter! 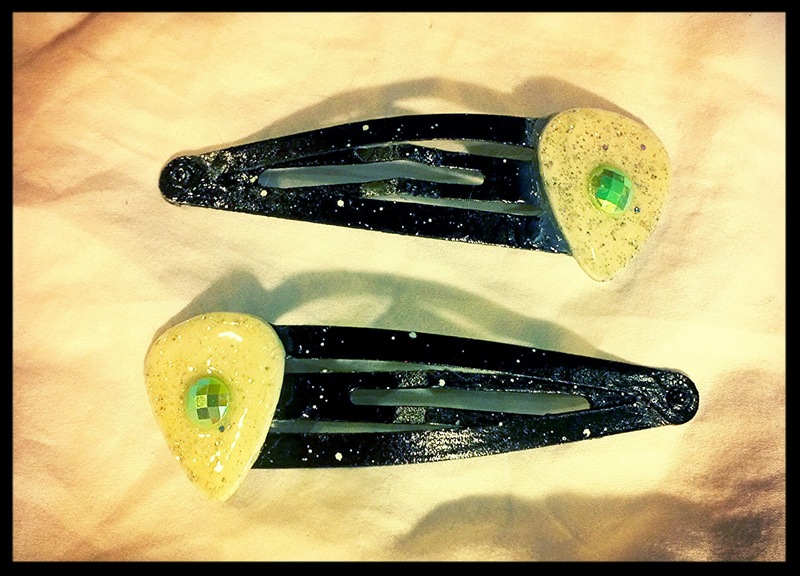 These hair clips are jumbo sized, black clips, painted with speckled nail polish and finished with epoxy resin. The bright green gems on each pick glow under a black light!